Behind every triumph and heartbreak in the NCAA tournament, there’s a story. The Players’ Tribune presents Tales of Madness, a series of first-person accounts from iconic basketball players recalling their most memorable tournament experiences. 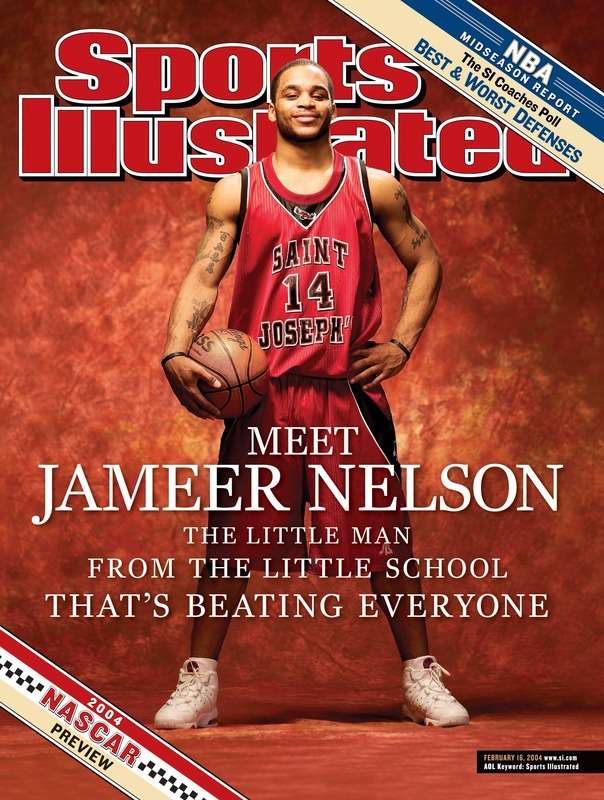 In this installment, Jameer Nelson remembers the game that ended St. Joseph’s historic 2004 season. You don’t realize the history you’re making while you’re in the moment. It’s only years later when you’ve had time to reflect that it hits you. In 2004, I was part of a Saint Joseph’s team that had an overall record of 27-0 and 16-0 heading into tournament play — our only loss going into the Big Dance came against Xavier in the Atlantic 10 tourney. That record gave us a No. 1 national ranking heading into that year’s NCAA tournament. Many accolades along with plenty of recognition for myself and my teammates would follow shortly afterward. I was named National Player of the Year, Coach Martelli won Coach of the Year and years later, Sports Illustrated even named us the best single-season college basketball team of the decade. The thing is, when you’re in the midst of all that, you don’t even realize the impact you’re making. As the tournament began, I could tell that this year was different than any other. From the renewed focus in practice to the swarm of media that followed everywhere we went, all eyes were on us. Despite being under the pressure of having a No. 1 ranking, we were still able to have fun while working tirelessly. The camaraderie is what really kept the team together. Everyone had a responsibility to give their all, whether they were an All-American like Delonte West and myself or a bench player. Coach Martelli set a standard for us to live up to. Throughout my senior year, reporters often asked whether all of the individual recognition I was receiving made my decision to come back and forego the draft worth it. I always told them that I came back because of the bond I had formed with my teammates. My goal as a senior was to be the best teammate I could be for them and and the best player and leader possible for Coach Martelli. When you’re in the midst of all that, you don’t even realize the impact you’re making. As the tournament started, we rolled along and lived up to expectations early on. We beat Liberty 82-63 in the first round, and next up was coach Bob Knight’s No. 8-seed Red Raiders. It goes without saying that they were not going to be an easy out. In a very close game, Delonte West and I — dubbed by some media as the best backcourt in the NCAA that season — combined for 39 points in a 70-65 victory. It was our school’s first trip to the Sweet 16 since 1997. Remember what I said about everyone giving it their all? That kind of dedication leads to different players carrying the team at different moments. Whether in college or the pros, the best teams have a variety of players that can show up in a big way in the biggest moments. In the Sweet 16 vs. Wake Forest, that player was Tyrone Barley. 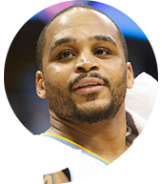 Throughout the season, Tyrone did things on the defensive end that didn’t show up in his stat line. He was our shutdown defender, and his marquee performance came against the Demon Deacons. Chris Paul was the ACC Freshman of the Year, known for using his speed and handles to shred defenses to the tune of 14.8 PPG and 5.9 APG that season. 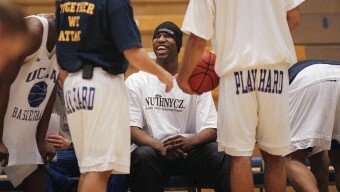 Tyrone flustered Chris, making him go 2-for-6 from the field with only 12 points that night. Without Tyrone’s swarming defense, we don’t make it to the Elite Eight. As much joy as it was to punch our ticket to the Elite Eight, the hurt of our loss only a few days later was truly the most memorable moment of my collegiate career. The stage was set: No. 1 Saint Joseph’s vs. No. 2 Oklahoma State with the winner going to the Final Four. The game lived up to the hype of analysts and fans across the country. The two teams only had a combined three losses on the season. 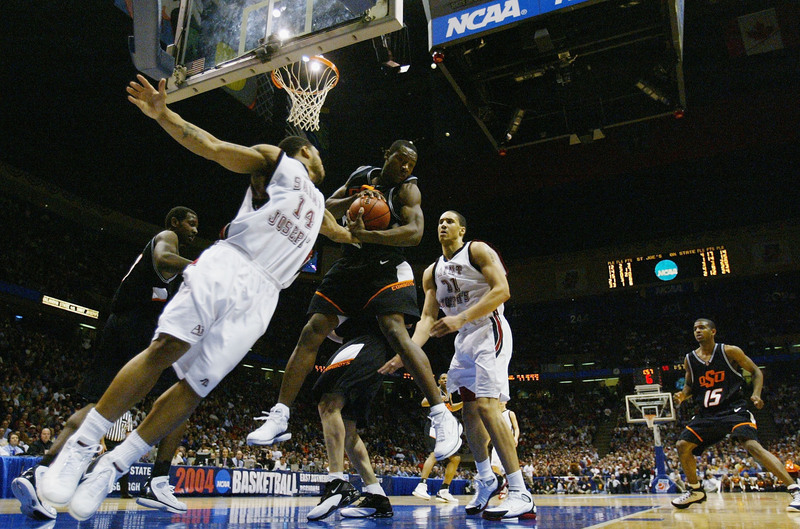 As great as my 2004 season and overall collegiate career was, the Elite Eight game against Oklahoma State was not one of my best. In fact, it was one of my most frustrating. I went 6-for-18 from the field. Any shooter will tell you that you’re going to have games like that. It’s in our DNA to keep pressing and keep that confidence in ourselves. Despite my performance throughout the game, we stayed in it. John Lucas had just drained a three-pointer with 6.9 seconds left to put Oklahoma State up by two. My team had the confidence to give me the ball on our last possession — no timeout or set play, just me taking the ball up the court, checking the clock and analyzing the defense. I got the separation and the shot I wanted. It was probably the most open shot I had in the game. Clunk — Right off the front of the rim. John Lucas got the rebound and just like that it was over. To this day, I still have questions about that shot. Not the selection — I would take that shot every time. Instead, I wonder how it was off despite the look. I was in between shooting a two and a three, so maybe that’s what made it fall short. It hurt at the moment, but since then I’ve gone on to make a lot of game-winners and buzzer-beaters in the NBA, so it’s not like it shook my confidence or haunted me. If anything, I wanted more opportunities like that. One hundred twenty-five games, 4,311 minutes: That’s the amount of official game time I spent giving it my all while at St. Joe’s, the most memorable being those last 6.9 seconds. It wasn’t until about a decade after our historic run in 2004 that it started to hit me how special our team was. People still approach me telling me how our 2003-04 team as their favorite team to watch — how the excitement and tenacity we brought to the floor intensified their love of the game. Yes, we had the best record in our school’s history. Yes, we made it to the Elite Eight and had a slew of aforementioned accolades. However, you don’t realize the impact of any of that when you’re playing in the moment. That’s what separates March Madness from other sports competitions. Every year, you have a group of kids — the vast majority of whom aren’t even old enough to buy a drink — making history. At that age, there’s no way you can fully comprehend the impact you and your teammates are having. To the team’s remaining in this year’s tournament, I offer this advice: Give it your all and live in the moment. What you’re accomplishing in the present is the cake. The icing will come years later when you reflect on the memories you’ve made.